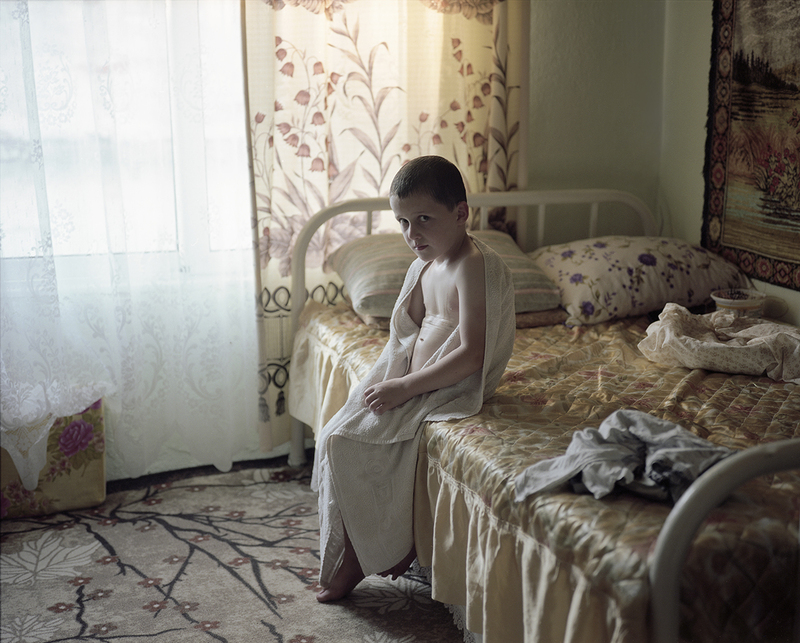 Hilmi 5, sits on the bed at his grandmother's house in the Pomak village of Kotili. His mother and grandmother take care of him and his siblings throughout the year. His father is absent and works in Germany, just like most of the men from the Pomak villages.